NEAR the summit of Causey Pike, where the heathery track gives way to steep rock, an elderly man sits on a boulder. He’s wearing a wide-brimmed hat and his white hair wisps about his ears. I get the impression he’s waiting for someone. He gives me a nod and a smile as I arrive at the foot of the outcrop . . . The man tells me it’s many years since he’s been up here and he’s uncertain of the way forward. Does he skirt around the crag on a faint sheep trod and climb the summit from behind, or does he go straight up the well-worn rock? I suggest he scales the rock – but I have niggling doubts because I, too, haven’t been up here for a long time. I start to climb, and the elderly man follows. This guy’s in his late seventies or possibly early eighties. This morning he ascended some craggy bits of fell at Rowling End, above Stoneycroft, and his wiry body is now bending in the wind on Causey Pike’s barren summit (637m or 2,090ft) – that’s a climb of 497m (1,630ft) up some very steep ground. Beyond the summit, in a hollow sheltered from the wind, he tells me he is a little lacking in confidence and was glad I arrived to offer my support. 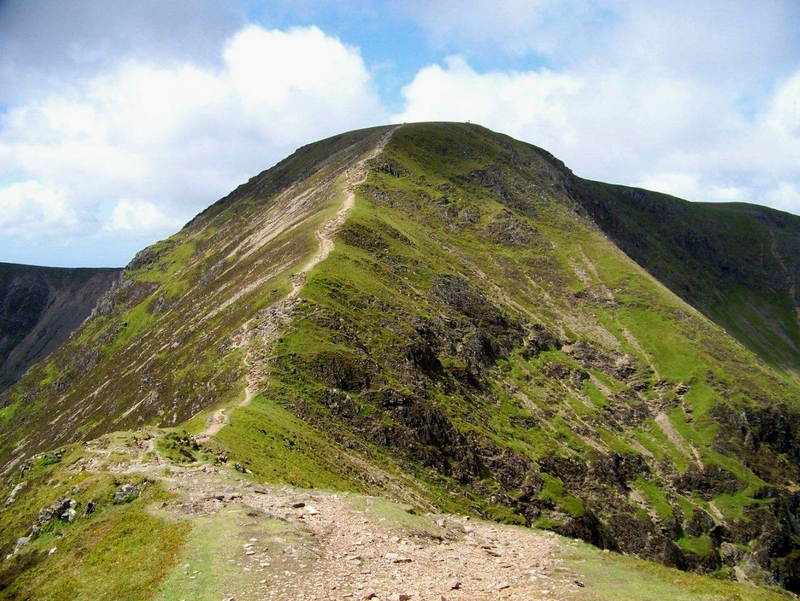 We chat for a while about famous walks that are noted for being exposed in places, such as Sharp Edge on Blencathra and Striding Edge on Helvellyn. Then we discuss Broad Stand on Scafell and neighbouring Lords Rake. And he tells me about a ledge that runs across Scafell crags from Lords Rake called the West Wall Traverse, which leads into the dark cleft of Deep Gill. This is a route I have never heard of. He tells me he’s done it several times. But I smile at the mention of Deep Gill because I once, rather foolishly, descended it in snow, much to the consternation of a group of climbers who waited patiently at the bottom while I picked my way down (see footnote). The elderly man is heading for Sail, but I’m going further west to Crag Hill and Grasmoor, so I leave him to finish his cheese sandwiches and steam off along the ridge of Scar Crags. Elderly men. Where would we be without them? We’re all going to end up as elderly men at some juncture, except those of us who biology has decreed are destined to become elderly women. So it crosses my mind that it might be an idea to spend more time among them to pick up some tips. Like serving an apprenticeship. I glance back with a feeling of regret and see this wiry black dot on the skyline as the man follows the path along Scar Crags. Then an unseen hand ushers me in a westerly direction towards higher fells and solitude. The sky is more sunny than cloudy, but the wind is cold, strong and gusty. 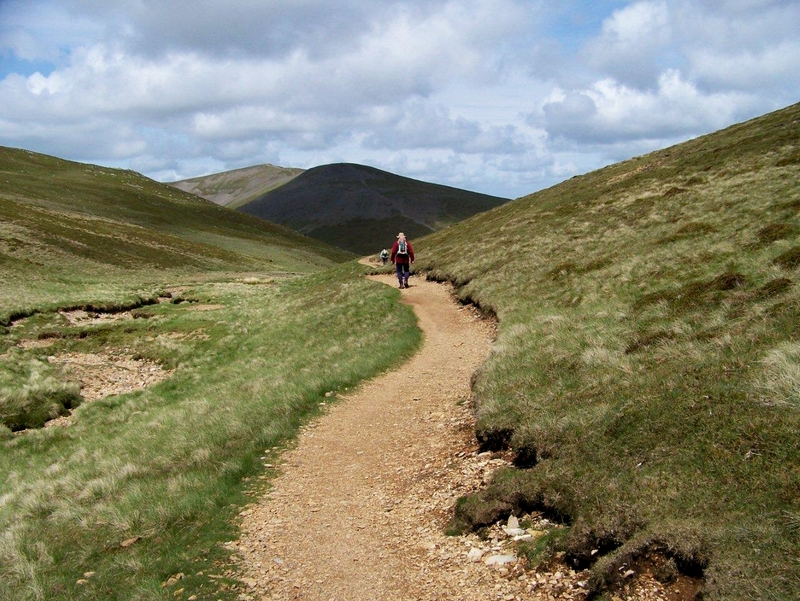 I’m in good spirits and charge up the strange zigzag path to the summit of Sail and continue over its crown to the top of Crag Hill, where I take some bait in a tiny dry-stone shelter overlooking Coledale. 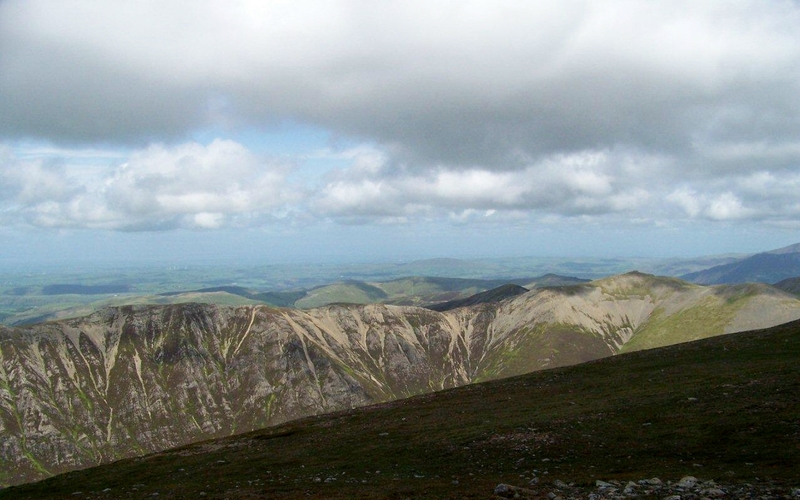 A pleasant walk in brilliant sunshine though buffeting wind delivers me to the summit shelter on Grasmoor. Then I backtrack to the col between Grasmoor and Crag Hill, drop down to Coledale Hause, cut beneath Force Crag to High Moss and Outerside, and follow Stonycroft Beck down its pleasant valley on the old Cobalt Mine track. On the long trudge down the track I chance upon the elderly man, who’s supping coffee from a tartan flask. We again pass the time of day and discuss our various adventures. Then I bid him farewell, wander back to the car, and head home across the Pennines. I mention the encounter to my wife as we’re having dinner, and that I wished I’d spent more time in the elderly man’s company. She asks me if I’d seen myself in him, myself in perhaps 25 years’ time. Or perhaps . . . had I seen my future self? I dwell on this while I’m downing a beer. And I decide she’s been writing too many short stories at her creative writing class. Then it dawns on me that if I’m still compiling this blog in 25 years’ time I’ll have to climb Causey Pike again on the same day of the month, just to prove a point one way or the other. 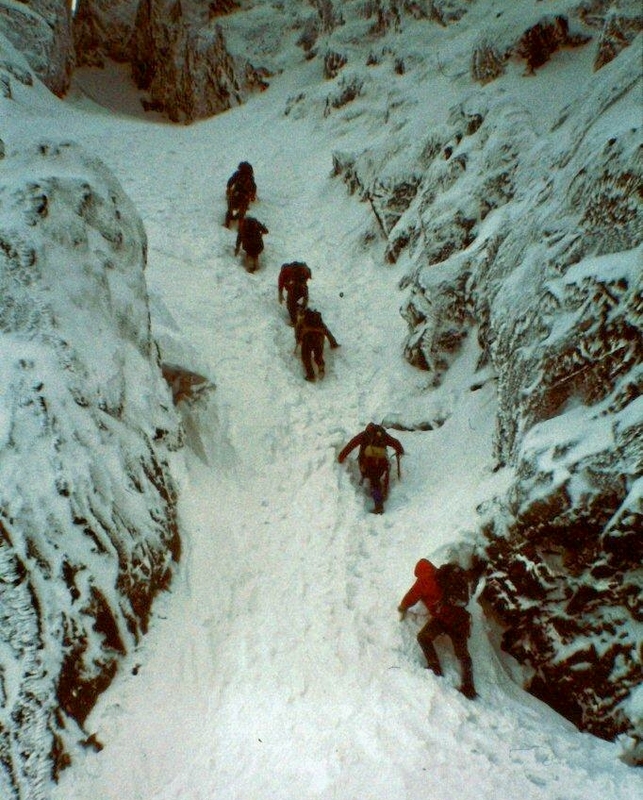 FLASHBACK to a winter in the late 1970s and an impromptu descent of Deep Gill on Scafell. I’d climbed a corrie to the east of Black Crag and circled round onto the summit of Scafell with the intention of descending Broad Stand onto Mickledore. This proved to be rather beyond my capabilities. So having slithered about on the sheet ice that cloaked the north-east crags like polished glass and decided it wasn’t for me, I picked my way down Deep Gill – which I had climbed the previous summer. The summer scramble, which I think I did with my old schoolmate Peter Frith, was good fun. The winter descent was a great deal more tricky – in fact I slid the final twenty or thirty feet and landed among the climbers waiting at the bottom, one of whom (the chap in the red cagoule) was a fellow workmate from the shipyard in Barrow. We had a laugh about my graceless descent on the Monday morning. Actually, we had a laugh about everything every morning because I don’t recall we ever did much work at all. This entry was posted in Climbing, Environment, Ghosts, Hiking, Life, Mountains, Walking, Writing and tagged Lake District, outdoors, Pennines, The Lakes. Bookmark the permalink. 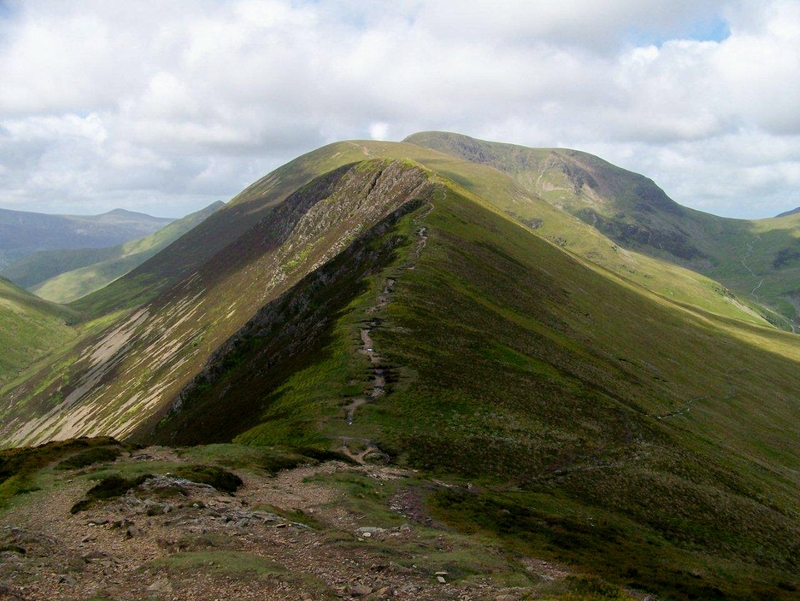 32 Responses to Causey Pike – A Country For Old Men? Great story, I am particularly delighted with your footnote and your descend from Deep Gill. It usually my area of ​​expertise! Ah yes. What goes up must come down – but not always gracefully. I think these things happen just to put us in our place, Hanna. It’s the mountains reminding us who is the boss. Hi John. Good to hear from you. Thanks for that. I would be inclined to wonder along the same lines as your wife! Lovely photos – although the zig-zag path looks never-ending. Not sure I like the look of those snow-bound crags either! Ha. I wish I hadn’t told her because she’s still banging on about it. As for the path, I don’t know why it’s like that. I’m sure it wasn’t zigzags the last time I climbed that mountain – which is a long time ago. 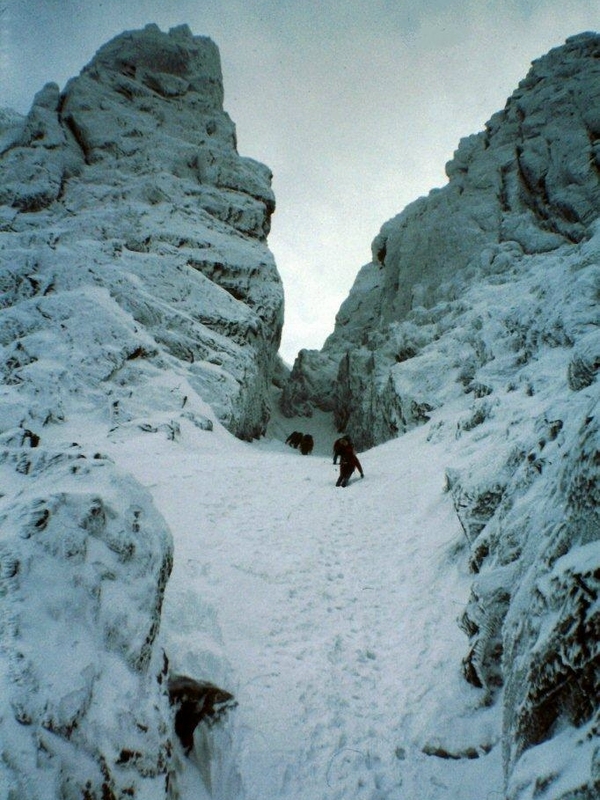 And as for the snowy crags – you wouldn’t get me anywhere near that sort of thing these days. Bloody hell what are those hideous zig zags doing. Last time I was up there they weren’t. Those path makers are going crazy. What’s wrong with the original erosion scar? I’m glad you’ve said that Greg because it proves that they are a recent addition and almost certainly dreamed up by someone from another planet. I’m sure they weren’t there the first time I went up, which must have been at least 20 years ago. I saw them first on Mike Knipe’s and Paul Sharkey’s blogs so I thought I’d go up and have a look. Perhaps things like Stonehenge came about in the same way – just a load of officials with a pot of money who wanted to do something different for a laugh. In an increasingly youth obsessed society it is great when you meet one of these old blokes that are still plugging away walking up hills, rock climbing or whatever. They must have some wonderful stories to tell, which unfortunately will never get told when they are gone. I really like the Deep Gill shots and it reminds me yet again that I really should get my old slides, produced long before I got involved with photography seriously, scanned and uploaded. Hi David. 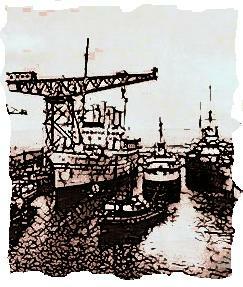 When I started fell walking in 1975 you would still see the odd chap on the tops wearing a collar, tie and tweed jacket. They looked like they’d stepped out of a 1940s film. You don’t see that any more, which is a bit of a pity. But I quite enjoy chatting to the older generation when I bump into them. Funnily enough, that wet day on Sheffield Pike I was telling you about I met an elderly couple from Ipswich who’d been climbing in the Lakes since their teenage years. We had a really good natter. The original Deep Gill slides are really sharp. They’ve lost something in the translation – but I’m still at the foot of the slide conversion learning curve. Really liked this one as I feel we have a connection going on here, I think it was last summer when I shared the ridge from Sail to Causey Pike with an elderly gent, the only exception was this gent could literally walk my legs off especially during the descent down the ‘steep nose’ craggy bit off Causey Pike, here this gent patiently waited for me to descend while I picked my way down, I could only look on rather embarrassed with admiration. I think there may be a Cocoon effect or something along those lines with Causey Pike. Love the old pictures btw, very raw, fantastic as always. Hi Paul. I’ve never done it that way round, but I can imagine myself picking my way down that craggy bit because it’s a bit of a fiddle going up. These old blokes are popping up all over the place. I wonder if any of them have blogs. Glad you like the old pictures. I’ve got thousands of them and I thought I’d slip the odd one in every now and again when the opportunity arises. Alen, some of those old boys I met are real characters. I remember wild camping on Haystacks, struck camp and walked up to the top and there admiring the view into Buttermere was an old boy I would say he was in his 80′;s. It was 7.30 in the morning and he told he had left his wife in bed at 2.30 in the morning after waking and fancying a walk, drove from Kendal and walk 4 hours to where he was standing. We had a good chat about the hills and routes and left him to make his way back. I was seriously impressed by his stamina and his joy to be in the hills. I hope that can be me in years to come! Hi Mark. Another good tale. While I was reading it I was thinking about replying with something along the lines of “I hope that can be me in years to come” but you got there before me! The difference between those old boys and us is that when we’ve reached that stage we’ll be blogging the tale from the other side of the fence. That’ll be interesting reading. I hope. Funnily enough Mark, I met an old boy in the Cairngorms a couple of years ago who told me a load of folklore about adders, and it crossed my mind to link the two stories together and suggest that very thing. Perhaps there’s some truth in it after all. I’ve enjoyed the elderly characters in the Pyrenees and I think more of them are there compared to Britain. Their elderly folk stay more active and interested in the hills. Thus…walking behind a chap once, going very slowly – and I’m actually a slow walker myself – when I approached and overtook him he was startled to see me because of his oblivious elderly chap character, his attention taken up with driving his body on and watching every small rock on the path. It must have taken him a very long time to reach his goal but of course – that doesn’t matter. Ah, another charming tale. Thanks for that James. More food for thought here. If we’re all going to continue climbing mountains when we’re old and doddery, wouldn’t it be so much more pleasant and healthy to be doing it in the sunny Pyrenees rather than bending double in the driving rain on some Scottish hilltop? I know where I’m off. I’m with you on the retired bit, Tracey, but I’ve a niggling feeling that when we’re old and doddery our views on the subject might have changed and we’ll be thinking: Hmmm . . . wouldn’t mind being young and fit again. Actually, I’m about at that stage now. They zig zags certainly make for an interesting picture if nothing else.! Just followed your route on the map as it`s an area I have never visited.Talking of which it looks like I`m Madeira bound in January 🙂 Can you recommend a map for both touring and walking ? Was going to invest in the David Brawn one entitled Madeira Tour and Trail map. About 30 years ago on Derry Cairngorm on a sunny midweek day I got talking to an older retired guy .I remember what he said to this day. ” Son,you either have to be extremely rich or extremely poor to experience what we are experiencing today.”. Hi Alex. I think there’s a lot of wisdom in what these old guys say. I don’t fall into the first category either, and I don’t suppose I ever will. Yes, the David Brawn map is the one I used. At 1:40,000 It’s more than adequate – and it’s not the sort of place where you can stray off the paths anyway. The contours are a bit spaced out, giving the impression of gentle slopes when in reality they are near-vertical drops, but other than that the map is fine for walking and touring. I also used Paddy Dillon’s Walking in Madeira, by Cicerone, but walking guidebooks are available in the tourist shops if you feel like picking one up. Hope the weather stays fine. I look forward to that post in 25 years then Alen. Do you know Max Beerbohm’s short-story ‘Enoch Soames’? Maybe your wife would like it. 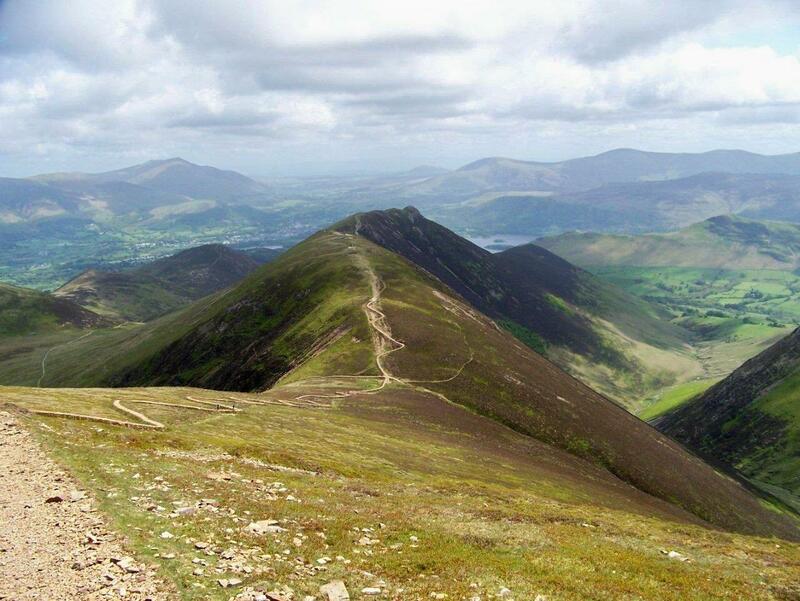 For some reason the idea of you going back to Causey Pike in 25 years brought it to mind. Not that I’m suggesting that you might have made a pact with the devil…. When, as a callow youth, I first did the Welsh Threes, it was in the company of a friend of a friend who was past his three score and ten – on a very hot June day I would never have finished without his advice and company. Hi Mark. I don’t know the Max Beerbohm story but I shall look into it. I’m on holiday at the moment and attempting to manage this blog on a friend’s laptop while cooking the dinner at the same time. I should have set a couple of hours aside for Googling and stuff. That’s another good tale of the old and wise. Perhaps we’ll fall into that bracket one day. Fingers crossed. It would be nice to pass something down and remembered = even i it’s only in passing. Wouldn’t fancy Broad Stand in dry weather, never mind snow. And that descent you did of Deep Ghyll – isn’t it sheer at the bottom below the start of the West Wall Traverse. I fancy the Traverse sometime – did you get round to doing it in the end? Hi Carol. The bottom bit of Deep Gill is where I slid for about 20ft, so it’s pretty vertical from what I can remember. I climbed it the previous summer but I can’t remember it at all – except for emerging into the sunshine at the top. I’ve never done the West Wall Traverse, but I’ve been up Broad Stand a few times. Whether I’d do it now I don’t know. I seem to be less able to cope with exposed places these days. 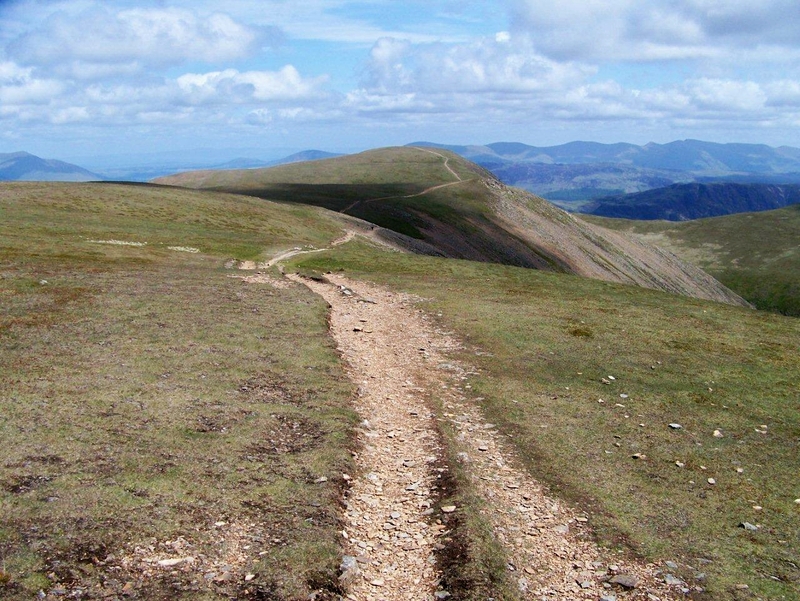 Wilder says – The Scar Crags zig zags are the result of over exposure of the original path to human feet and books telling people to go and walk in the already over walked Lake District …….. the original path having been further eroded by a lot of rain water and bikes (which create tyre channels that water loves to flow down). 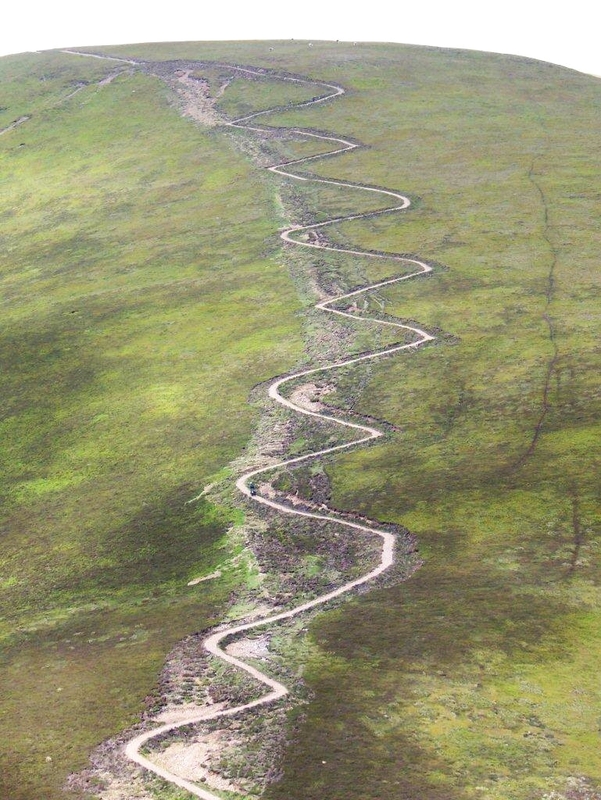 The zig zags look ideal for more biking ……. Suggest everyone walks wild and avoids busy routes and places …… spread the load !! Hi Adrian. Thanks for that. The zigzags look ideal for biking and several other sports. I do hope, though, that this sort of remedial scheme doesn’t go forward anywhere else. I think erosion looks far better. you’re welcome Alen. Really is very beautiful!